DELF B2 Speaking test can be intimidating especially if you don’t have a big experience of practicing your oral skills in French. 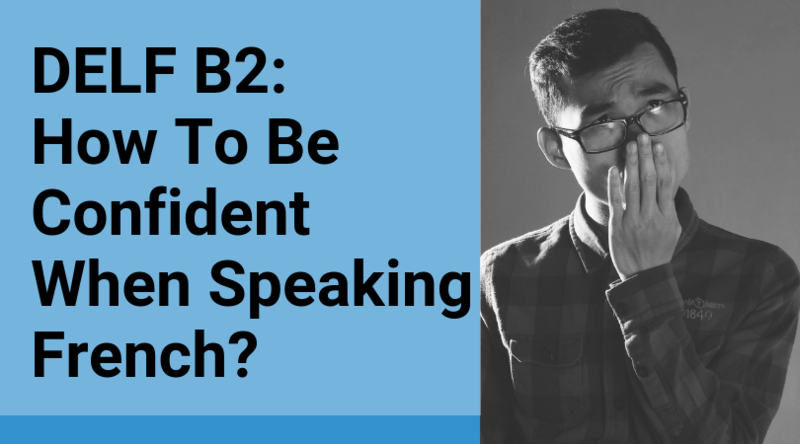 After I prepared many French learners to pass the DELF B2, I will share some advice so that you can boost your confidence for the speaking part! BUY MY METHOD TO SUCCEED DELF B2, AVAILABLE ON AMAZON! Example: La pièce où l’on dort (la chambre). Ask for help to the examiner. Sometimes they don’t answer and look strict but that’s their role, don’t be destabilized, continue. Excusez-moi, comment est-ce qu’on appelle … ? During the debate, if you don’t understand the question, ask the examiner to repeat or to explain a word you don’t know. It shows also your skills about interacting. je pense que je n’ai pas bien compris votre question. je comprends pas ce mot/cette expression. They sound implied but that’s important too. Body language is the first impression you will give to the examiner. Whether it’s your motivation or willing to succeed, they will feel it through your body. Be positive. Greet the examiners, smile and say thank you and goodbye. It’s basics but very appreciated. Make eye contact. Eye contact is the most effective way of engaging your examiners. Use your voice. Speak loud and clearly. Add contrast when you speak, stress your intonation. Intonation allows you to separate ideas and emphasize important points. Put in the shoes of the jury: You are the 15th candidate and the examiner will fall asleep if your tone is uniform. Especially for the introduction, it must be dynamic and make the examiner wanting to know about your development. The examiner should not have to make an effort to follow your thought and your arguments. That’s why we use linking wordsthroughout your presentation and you should practice using them. Raise your voice when you start with a sentence or an idea, and drop your voice when you finish. That’s very important and highlights your plan. Before the exam, practice in front of some friends. At the very least, practise aloud to yourself, you will feel much more confident on the exam day. Practice out loud and in front of different people will help you to handle with time and hear your own voice. Repetition is the key. It will boost your confidence. If you need practice and simulations, I am here to help! Contact me and book a lesson with me! How Hard Is the DELF B2? Which French Exam Should You Take? Should You Take a French Exam? 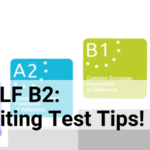 What is the best method to prepare for DELF B2?